Papers: Paul with: Gustafsson, Nils, et al. "Fast live-cell conventional fluorophore nanoscopy with ImageJ through super-resolution radial fluctuations." Nature communications 7 (2016). Vytautas with: Bhat, Sandeep, Jungho Ohn, and Michael Liebling. "Motion-based structure separation for label-free high-speed 3-D cardiac microscopy." IEEE Transactions on Image Processing 21.8 (2012): 3638-3647. Where & when: Friday 21st July 2017, 13-14pm, Room 255 (reading room), Kelvin Building, U.o.G. We are all ready for the next Journal Club, hope you are too! 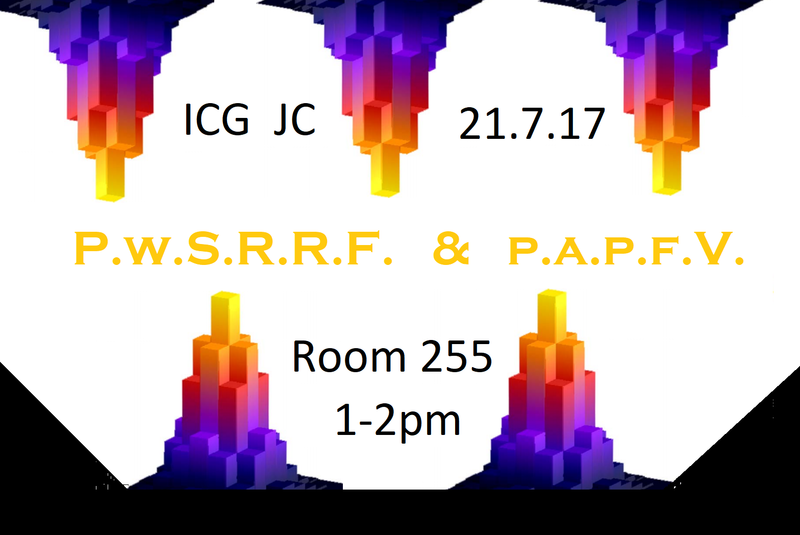 Also, attending the Journal Club is the only way to find out what P.W.S.R.R.F & P.A.P.F.V. stands for, and, after all, how could you live the rest of your life without knowing that?